Raymond Earl Perry, age 63, of Bladenboro passed away on Wednesday, September 26, 2018. 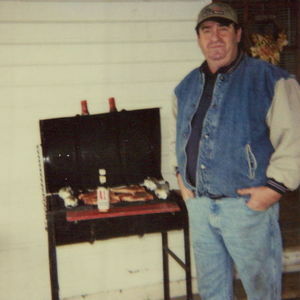 He is survived by his wife: Carolyn E. Perry of the home, four sons: Raymond Perry Jr.; Ronald Andrew Perry, both of the home; Greg Kinlaw (Candice) of Dublin; and Henry Kinlaw (Cheryl) of Bladenboro; one daughter: Lynn Sykes (Cory) of Bladenboro; one brother: Hewitt Perry (Donette) of Elizabethtown and eight grandchildren. The family will receive friends from 2-3 pm on Sunday, September 30, 2018 at Bladen Gaskins Funeral Home in Elizabethtown followed by a funeral service at 3 pm. The family request that no flowers be sent.